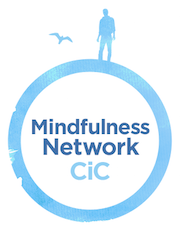 I offer supervision to trainees, new and experienced teachers of mindfulness-based approaches through the Mindfulness Network CIC. Mindfulness-based supervision provides an invaluable opportunity to reflect upon and inquire about your mindfulness teaching and practice. Unlike other experiences of supervision that you may have had, mindfulness supervision focuses not only on your teaching work, but necessarily includes your personal mindfulness practice and how it impacts on your work and your everyday life. The sessions are very much a collaborative process. 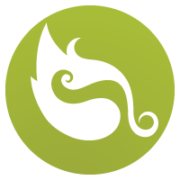 The intention is to create an alliance between you and your supervisor that will foster an open and creative exploration of your personal practice and how it might interweave with your teaching and mindfulness in work. Also unique to mindfulness supervision is that the session itself is imbued with mindfulness in terms of practice, embodied presence and compassion. The sessions may include live, on-the-spot teaching practice and feedback, inquiry around issues arising in your teaching, discussion based on videoed sessions, discussion about your personal meditation practice and/or some periods of meditation. On-going mindfulness-based supervision is a requirement of the Good Practice Guidelines for teachers of mindfulness-based courses. The mindfulness-based supervision offered through the Mindfulness Network is specifically for those training or for those who have already trained to teach MBSR/MBCT. “I have completed supervision training with the Centre for Mindfulness Research and Practice at Bangor University. I have been supervising trainees, new and experienced teachers of mindfulness-based approaches through CMRP since 2010 and now as an Associate of the Mindfulness Network..
Gwennie’s supervision is practical, supportive and insightful and helps me to reflect deeply on my experience of teaching. She truly embodies mindfulness in her approach and is so generous with her wealth of knowledge and experience. Our sessions connect me to my purpose and enjoyment of teaching and have enabled me to develop greater awareness, skill and confidence with my work. Gwennie has been my supervisor for two years while I complete the 4 yr Postgraduate Diploma in Teaching Mindfulness Based Interventions at Bangor University. Her guidance has taught me as much about mindfulness as all my other studies. During our sessions she listens with in-the-moment awareness, I can then hear myself more clearly and this seems to bring my own experience and my theoretical knowledge of mindfulness into sharp focus. She reflects back to me in such a way as to allow me to discover my own answers and by receiving this skilled teaching I can take a little of the same into my own classes. On our calls there are times of mutual discovery where I learn what it is to be guided with intuition, both of us open to “not knowing”. There are also times when Gwennie reaches for a file and offers very practical suggestions for lesson content and personal practice. She never fails to have a relevant poem or quote to hand and knows the 8 week course intimately. Working with Gwennie has been a revelation, her embodiment of mindfulness is steeped in compassion, her support is caring, boundaried and practical in nature and I am very grateful to receive supervision of such quality. Whenever I find myself teaching genuinely from the present moment I realise that Gwennie is sitting on my shoulder!